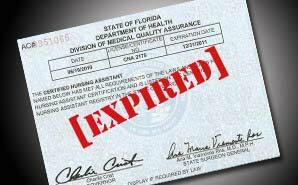 If you are a CNA, one of the things you will definitely need to do as part of your career is to renew your license. This is something that is very important in most parts of the country, and failing to get it done has a number of consequences. For one, you have to remember that the healthcare industry is very sensitive, and that there are many regulations that are put in place to ensure that anyone who works in the industry is not a threat to the patients. There are numerous consequences associated with working without such a license. For one, you may end up being prosecuted, especially if you end up making a mistake when working with an expired license. Even if no mistakes are made, you may still end up legal recourse if you are found to be working without one. Of course, you will need to pay some money to have your CNA license renewed. However, how much this will cost depends on a host of factors. The most important of these is where you work. Different states will have different fees that they charge for the CNA license renewal. It’s important that when you move to a new state, you should find out how much this is so that you have the money ready on time. Fortunately, the cost of CNA license renewal in most parts of the country is not very high, at least compared to what you would pay for the initial licensing. In addition to that, you should remember that the cost of a license renewal will vary from time to time. Fortunately, most states will give ample notice before increasing or reducing this fee, so you have enough time to get the information. In many cases, your employer will cover the cost. This is something to ask when doing your interview or checking out a potential work place. It isn’t uncommon for a hospital or nursing home to cover this cost, because they are required to carry a certain amount of certified nursing assistants and it is a work expense. Another good aspect to this fee is that it is completely tax deductible. This is because, you fee is a state fee for a licensing and can be classified as a work expense on your tax form. Just make sure to keep the receipt. Most states will require you to do a CNA license renewal on a yearly basis. You should, therefore, take note of when you first get your license and then aim to make sure that you always start the CNA license renewal process before that respective anniversary so as to avoid any potential problems such as having to rush in order to have the renewal done. Fortunately, a number of states will give you notice of CNA license renewal in advance, so the chances of you forgetting to do it will be minimal. This is usually mailed to your designated address. You should, therefore, make a point of always checking your mail, and also notifying the relevant authority each time you need to change your address so that they can forward the mail to where you can get it. Can You Renew Your License Online? As is the case with most other local government organizations, you can also choose to do the CNA license renewal online if you wish to. In fact, this is the easiest way to do it since it takes no time at all and is secure enough. In order to do CNA license renewal, most states simply require that you pay the required fee and that’s it. However, there are a few others that may have a few extra requirements that you have to fulfill in order to have the document renewed. For instance, they may require that you get continuing education, so you might need to prove that you have attended events such as CMEs in order to have the CNA license renewal done. In addition to that, some states such as Alaska also require that you work for a minimum number of hours (usually 160 after your initial registration) before you can get subsequent renewals done. This means that if you wanted CNA license renewal done without a hitch, it would be wise to go through your state’s requirements first. 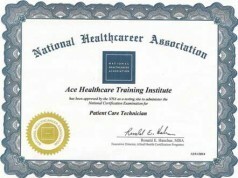 worked at a Nursing home or hospital I would have take the Competency Evaluation Program Test. My licence expired in May. I need renew !!! I got phone call but not understood. My CNA licence expired in May. I need renew. I got phone call but not understood. I will pay the fees, What to do now?